Check the friday video, you have the 3 missing keypad on some headers. can someone help me. I've tried to run the example code but got no response when i pressed a key on the shield. Also, if this communicates via I2C how come there are no pin outs to connect the shield to the SDA and SCL lines on the Arduino? 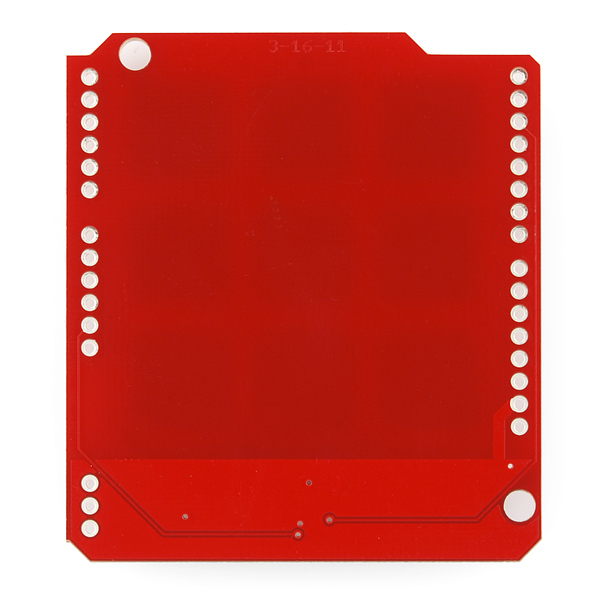 It's connected to pins A4 and A5, which are the I2C lines. 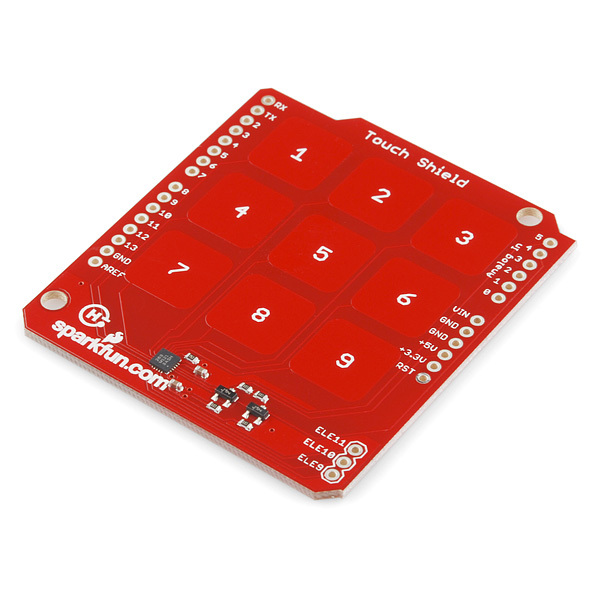 Make sure you have good, tight connections with your headers, no solder jumpers any where, and if you're still having trouble, contact techsupport@sparkfun. Ouch. 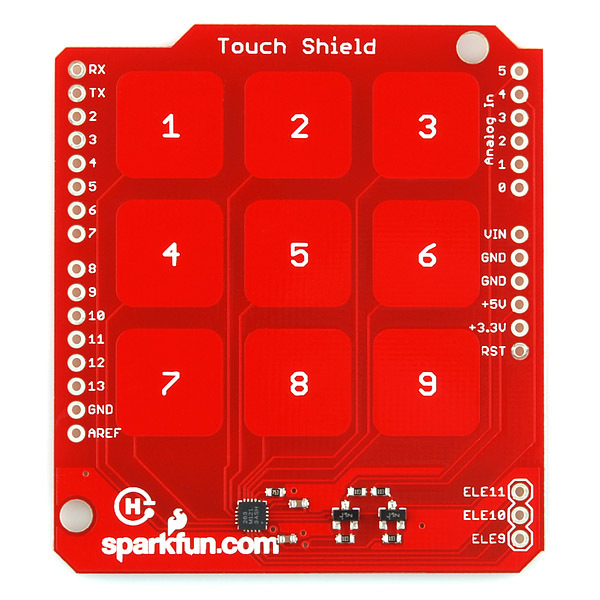 Hopefully it's fine, but you're right that care should be taken when using this shield with any 3rd party boards that do not separate out a 5V and 3.3V pin - which includes SparkFun's Arduino Pro board. Check the Eagle files we have posted above. You can see the measurements of all the components on the shield in there. If you don't have Eagle, you can download a freeware version here. I'm new to this, but the example isn't working, I get the error unexpected char: 'i' when I try to run it in processing. Also, the MPR121 IC gets really hot.. what am I doing wrong here? When you connect one of three external touch sensors to it, call it '0' :-D.
I think that PCB production was simply done before the "Official logo" was out. 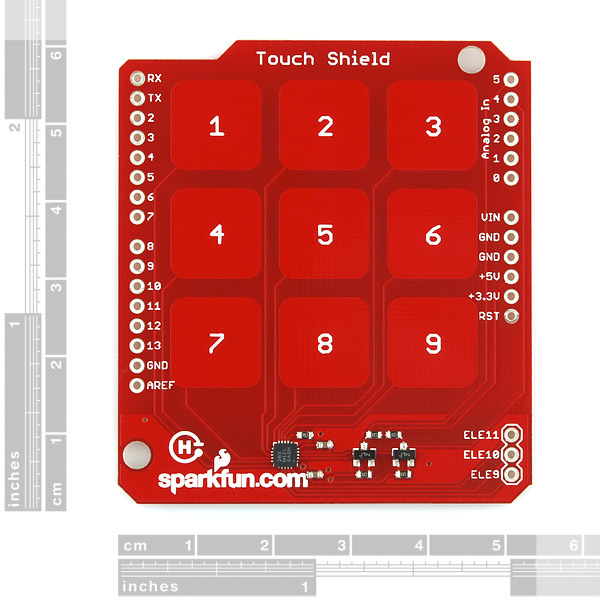 I remember that the logo you see on the PCB was the one Sparkfun selected before it got "official". They posted on February 11, 2011. I was wondering that too. Freescale's appnote AN3747 says that with large (finger-sized) pads, it should work through a 3mm dielectric. I just measured a couple pieces of window glass I had handy and they were 2.0 and 4.0 mm thick, so I guess the answer is, maybe?